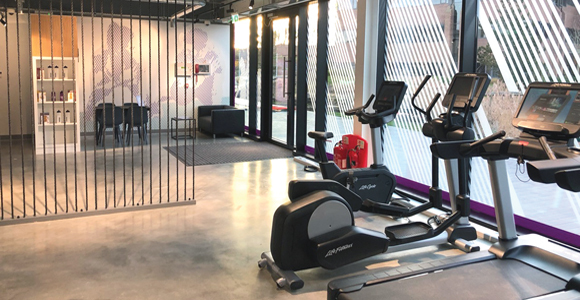 Anytime Fitness has opened its first new look fitness club in the UK at Croxley Park, Herefordshire. The two-floor 7,000 sq. ft. club with a more open and functional layout features a modernised interior and overhauled colour scheme. In line with the brand’s evolved look and feel, the design changes are in response to the soaring popularity of functional training, a type of training that increases flexibility, co-ordination, balance and posture using a range of equipment associated with daily activities. The new design will see clubs split into various training zones, providing a welcoming and contemporary environment for its members, whilst helping to drive down fit-out costs and contribute to a more profitable business. Stuart Broster, chief executive of Anytime Fitness UK, said: “We’re thrilled to be driving change in the industry with our exciting new roll-out that represents a huge step forward for the brand. Anytime says that while all its clubs are encouraged to create their own bespoke layout to suit the property and its audience, franchisees are provided with several ‘Brandatories’ (mandatory brand standards) to ensure consistency. These are compulsory elements that clubs must incorporate in their fit-out, including the use of certain materials, colours, graphics and feature elements, which contribute to creating a training environment that builds stronger relationships among members, trainers and staff. Anytime explains that the new design layout is part of a wider UK club rebrand, switching from its brand positioning of convenience to coaching. Following an in-depth member survey, focus groups and consultation with its franchisee network, Anytime found that while the convenience of its 24/7 clubs remains a significant joining factor for over 160,000 UK members, they stay longer for the overall experience, friendly support and community atmosphere that it promotes. The rebrand has also resulted in an updated Anytime logo, encompassing a new ‘Let’s Make Healthy Happen’ positioning statement, reflecting the company’s new look and feel.